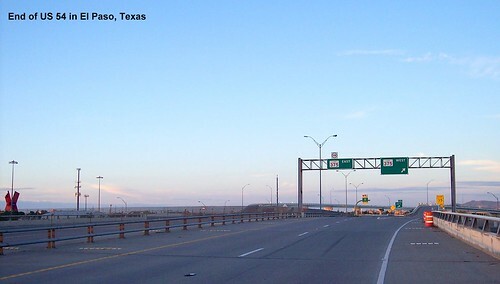 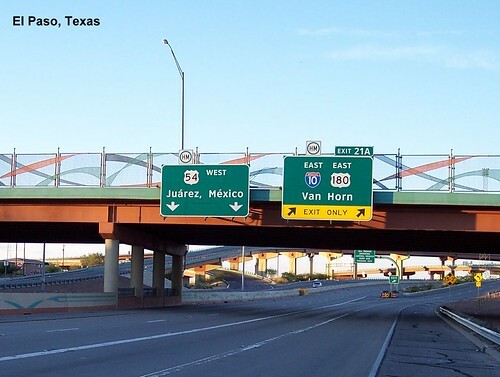 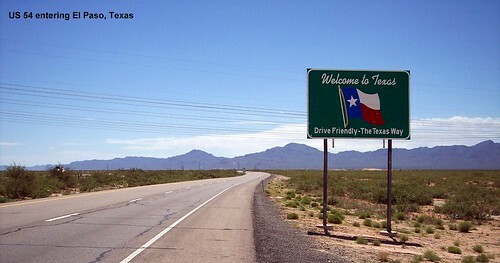 US 54 re-enters Texas in El Paso. 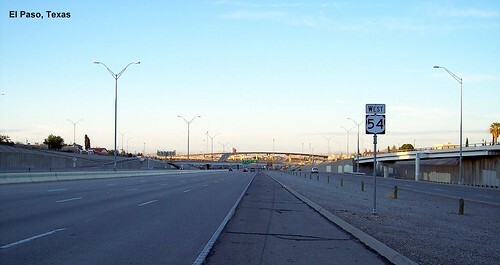 The last westbound trailblazer for US 54. 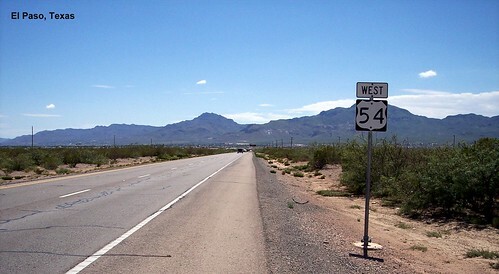 The last westbound sign for US 54. 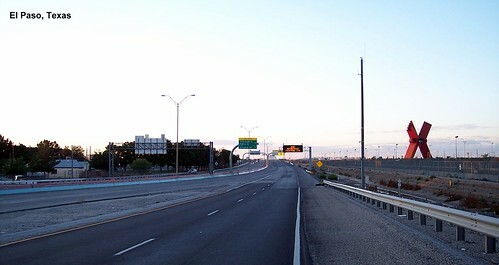 The highway splits with Mexico in front of us. 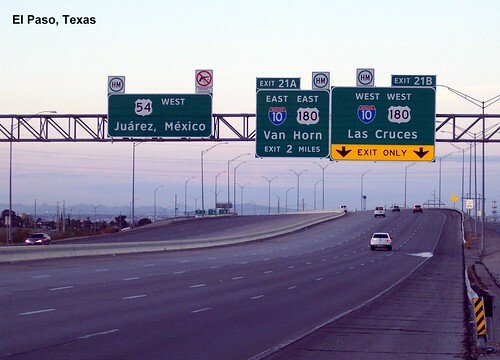 There was no End sign.